Hot or cold, what light do you prefer? The most popular office workstations are close to windows, despite potential glare through sunlight. 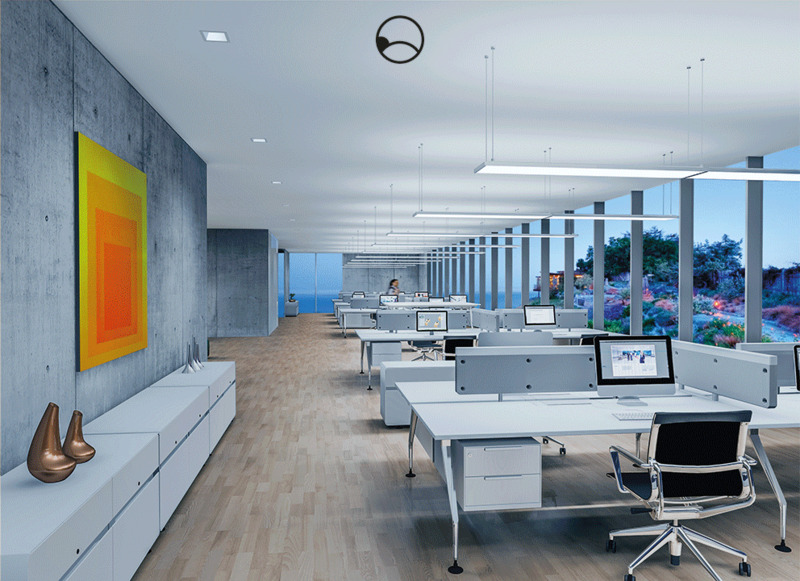 It is near windows that the highest illuminance levels are available for visual tasks (visual lighting effect). An unimpeded view out of the building can enhance people's mood. 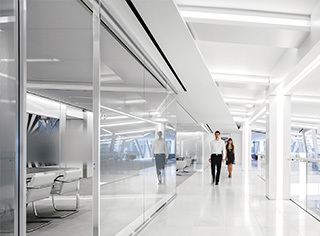 Moreover, dynamic daylight ensures variation (emotional lighting effect). Our circadian rhythm, our timing system, is stabilised to optimum effect by natural lighting conditions and high light exposure levels close to windows (biological lighting effect). 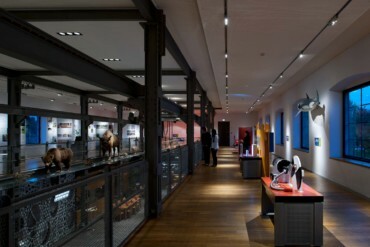 Lighting design for workstations is traditionally based on levels specified in applicable standards, which usually refer to visual and in part also to emotional aspects. 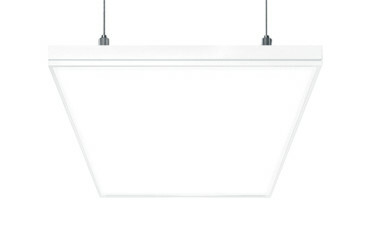 The DIN SPEC 67600 standard (04/2013) includes valuable new design recommendations for biologically effective lighting. Here, the factor of time plays a highly decisive role for the first time. Daylight is the most important timer for people's circadian rhythm and has always determined our phases of activity and regeneration – above all before artificial lighting became available in large quantities. The eye is not only the visual sense's central organ. Moreover, the eye with its circadian photoreceptors situated on the retina also acts as an interface for keeping track of time. Information is forwarded to the brain, more precisely to the suprachiasmatic nucleus (SCN) which is considered the central pacemaker of the timing system. Via subsequent physiological processes such as hormonal control, this system fulfils the primary timing function. In addition to daylight, artificial lighting can influence stimulation and a good night's sleep – hence also people's well-being and health. The time-dependent factors influencing artificial lighting are based on natural geographic and meteorological conditions: changes in incident daylight over the course of a year and underlying weather-based fluctuations. 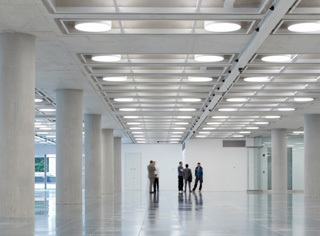 When designing LIGHT IN TIME lighting solutions, the focus is primarily on the individual. 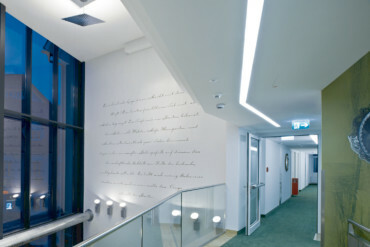 Various chronotypes, different schedules and a variety of locations for work and leisure-time place individual requirements on biologically effective lighting solutions. Light can make a contribution to bringing some kind of order into these varied time-based parameters. 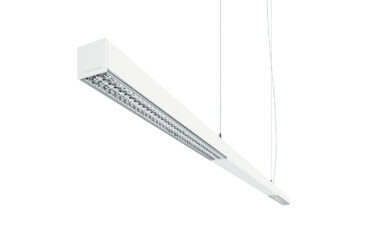 For the first time, the DIN SPEC 67600:2013-04 standard prepared by experts of various technical disciplines includes specific design recommendations for biologically effective lighting. Thus, innovative technological options and current research findings have been combined. The circadian photoreceptors on the retina are addressed to optimum effect via high intensity levels of the bluish spectral component. However, they must be stimulated within an appropriate time frame. Then reduced reddish light is once again used for the transition to regenerative phases. 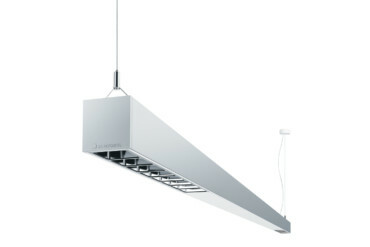 This necessary change in spectral distributions combined with appropriate illuminance levels is supported by LED technology featuring Zumtobel tunableWhite to optimum effect. Yet, the biological effects of light should not be reduced to the subject of light colour. The impacts of a variety of design approaches to the circadian system are too complex (see table from the DIN SPEC 67600 standard). Artificial lighting should follow the natural course of daylight as closely as possible and be used only in addition to daylight. 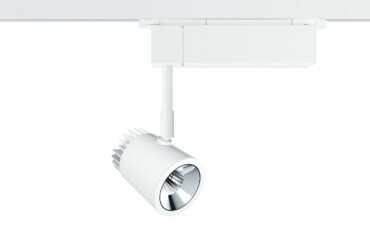 Lighting solutions where users are able to adjust lighting conditions individually enjoy a high level of acceptance by users. One of the main consequences of the impact LIGHT IN TIME solutions have on physiological functions is that individual control options must be provided. Hence, people's needs are taken into account and manipulative actions are avoided. The integral approach on lighting effects is essential: it is mainly the emotional and biological effects that are included in the design approach in a well-balanced manner. Example: On the one hand, the right amount of light in an intense bluish light colour at the right time has a biologically supporting effect. On the other hand, many people perceive a high blue component as unattractive or even annoying, depending on individual preferences, weather conditions or visual and/or space-defining tasks (see illustration). Last but not least: optimised "Light in Time"-concepts for stabilising the timing system do not start and end at the reception desk of the office building. They continue in people's private living spaces and during leisure-time activities. For instance, doing sports in daylight has a stabilising effect and promotes a sound sleep, whereas extensive exposure to electronic screens in the evening is counterproductive. "Light in Time" is based on a specifically designed sequence of light and darkness over a period of 24 hours – there is a time for everything! 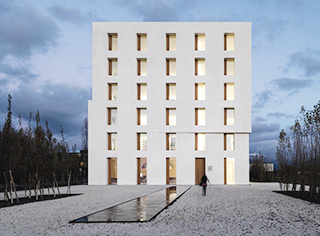 Jean Nouvel’s “One New Change” complex in London is the new domicile of law firm K&L Gates – featuring elegant, clear-cut offices for life’s serious matters. In Amsterdam “Office for Metropolitan Architecture” (or OMA in short) has built the new G-Star RAW corporate headquarters. Part of the architectural design brief was to encourage creativity among its employees. So, 12 months after relocating to the new premises, have expectations been met? 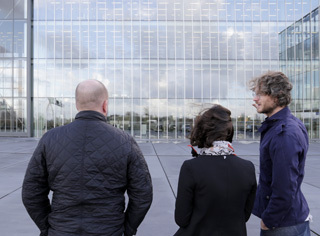 Adeline Seidel in conversation with architect Reinier de Graaf from OMA/AMO and Design Director Pieter Kool from G-Star RAW. It is mostly architects and users who are asked their opinion on workspace design. So what does a property developer have to say about tenants’ requirements when it comes to their office premises? Ian Cartwright of Great Portland Estates has the answers.